By now you know that at DefensiveDriving.com we are all about cars. We want you to know how to take care of them, how to drive them, and how to stay safe in them. So when the Fast and the Furious franchise came out with their sixth movie, we couldn’t help but be intrigued. Perhaps you have already seen the movie, and perhaps you haven’t. Maybe you are into racing cars and maybe you aren’t. Whoever you are, there are a few things that everyone seems to agree on. Naysayers and fans alike agree that the stunts and special effects used in Fast & Furious 6 do not care about the rules of gravity. As long as you understand that the movie is a work of fiction, and you can watch it as that, then you can sit back and enjoy the amazing stunts. 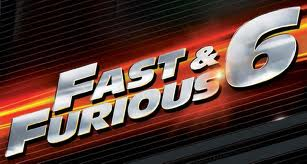 Almost everyone believes that the movie takes the top spot among the six Fast & Furious films. It has the fastest cars, the most jaw-dropping stunts, and the best comic relief. So if you want to see a racing movie, this is a good one to watch. Did we mention the original cast is back in full force? That’s a draw all on its own. One of the biggest critiques of the movie is that the storyline is not very good. Okay, on one hand, every movie should have a somewhat intriguing story to follow. On the other hand, it’s advertised as an action movie. As long as it has fast cars, big muscles, and explosive stunts, the viewers should be happy. It’s not like it expects to win an Oscar. Overall, it seems like people willing to pay to see the movie seem to enjoy it. According to Fandango, it is rated as “Must Go!” by 28,581 fans and as “Go” by 61 out of 100 critics. So if you enjoy action-packed movies with gravity-defying stunts, Fast & Furious 6 may be the perfect summer flick for you. If you are looking for interesting plots and characters with depth, you should probably go see something else (Monsters University anyone? ).